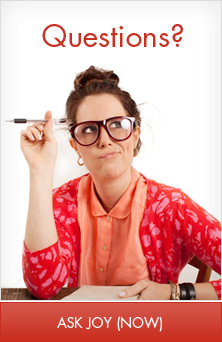 You need to read this guest post. Fritz Ridenour is a well respected man in the world of literature, but he has also become a close family friend and father figure to my dad. Though Fritz has helped edit most of my father’s books, theirs is unlike any editor/author relationship I’ve ever seen. 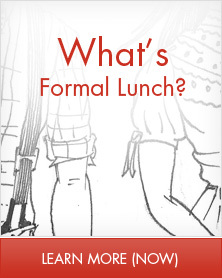 …get ready for Fritz’s words. If I have a husband who can say things that are half as moving as Fritz says about his wife Jackie, I will have done a good job as a wife. As I look back on my marriage to Jackie—56 years, 3 months and 13 days before she went Home—I think not so much of lightbulb moments, but more of dawning realizations (I seem to be a slow learner). We did not have Love & Respect through most of our marriage—it was not around then and we had to work out a lot of things by trial and error (her trials, my errors). Always the choleric, Type A, goal-driven type, I poured myself into my work in the churches we attended and the Christian publishing house where I worked for 20 years. I often put in 70-80 hour weeks “serving the Lord” with the obvious result: not being there for Jackie and our three children. I recall sitting in church one Sunday evening and realizing I had to slow down. I loved my family very much, and I needed to be there more for them—I tried, with varying results—again, the realization kept dawning on me. I was a work in progress, and the Lord—and my wife—were patient. As we moved into retirement years, it dawned on me with new awareness that I loved my wife very much—a rather prosaic hackneyed thought to write here, but indeed, I came to cherish, appreciate, and esteem her with new depths of meaning. By then we were well aware of Love & Respect principles and I realized what an incredible, still beautiful, loving (and respecting) person she was. I tried to tell her—again with varying results. Nothing happens totally and finally, especially in marriage. In 2008, cancer became more than “the C-word.” It invaded our lives—specifically, her peritoneum—and we began an 18-month battle that took us back and forth from the U.S. to Mexico as Jackie sought alternative chemo treatment. Despite the best efforts of knowledgeable doctors on both sides of the border, Jackie slipped from my arms into His on Dec. 19, 2009. During those 18 months I was always there, trying in my own “blue” way to be her caregiver. Again, there was no lightbulb moment, but many, many moments of nausea, pain, and earthiness that brought a dawning of how much I loved her with new depths of intimacy. And now, for the past four years I have learned about grief—and I am still learning. Losing my lovely and loving wife tore a giant hole in my being that continues to heal around the edges. The hole will always be there….and again it has dawned on me these past years and months of how much she meant to me and how she changed my life. I met her in college, where I had come on a football scholarship. She helped point me to Christ; two years later we were married and began the trial and error dance I mention above. I was always nuts about her; but I took a long time to learn how to love her, and was still working on it at the end. She was always my helpmeet, my cheerleader, my lover, my partner in developing Christian books, my best friend. Truly, meeting her—and meeting Him—has made all the difference. The award is as much hers as it is mine. 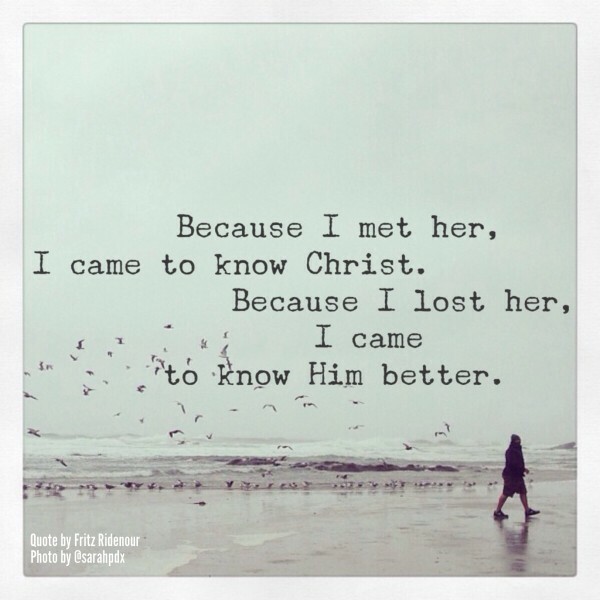 Because I met her, I came to know Christ; because I lost her, I came to know Him better. I am still working on that…His work in progress. In the end, He is the Ultimate Difference. Are you like Jackie, living in a way that shows grace continual grace to a spouse in process? Are you like Fritz, living in a way that is open to being molded by the process? If you’re not married, are you extending grace to those who let you down and being open to molding? Fritz Ridenour is a favorite writer of readers around the world, with more than four million copies of his books in circulation. His books include How to Be a Christian Without Being Religious and How to Be a Christian and Still Enjoy Life. I’m going to be pausing the posts until the new year for a number of different reasons—but there will still be lots happening for you to join in on. 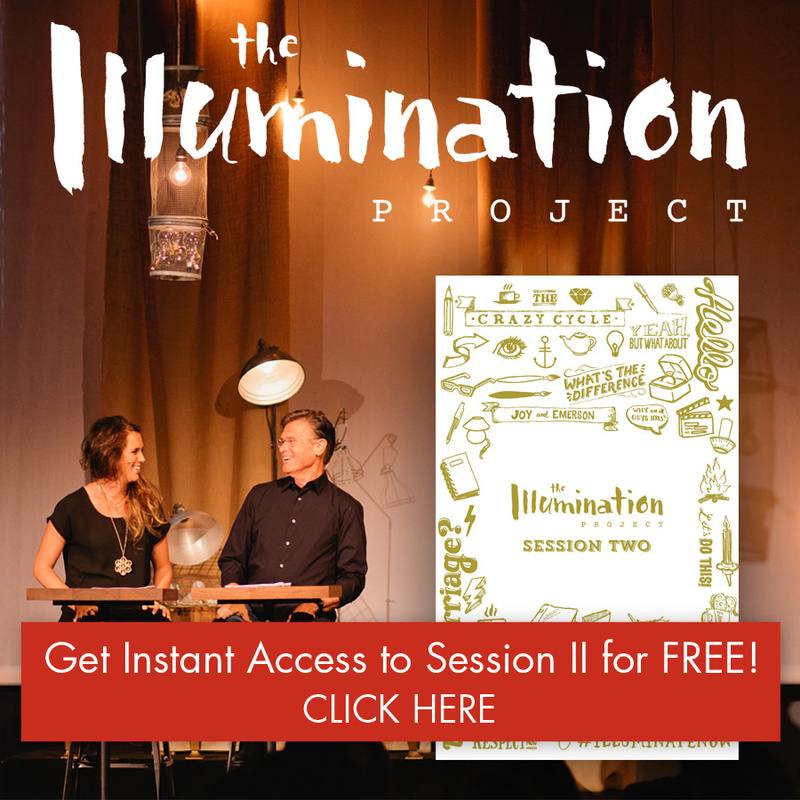 So, on the heels of all the illumination moments we’ve heard this year—guest posts, the gallery, and more—I would love you to join in by sharing your own illumination moment in the comment section or on social media with #illuminatenow. 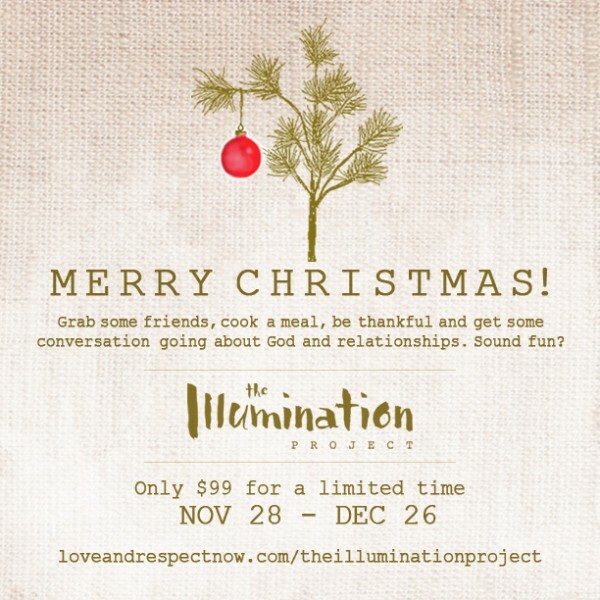 There will be a series of relationship-themed illumination moments on Instagram throughout December (and maybe even beyond). Yours might even get picked—so stay tuned! Merry Christmas and Happy New Years, friends. May you sense His presence if you find yourself in the midst of holiday chaos or in the still ache of loneliness. You are not alone. Well, I got chills multiple times reading this post and had to keep myself from tearing up. Okay, I teared up a little. This was beautiful. I know… he is such a dear man. Have a truly blessed Christmas and a Prosperous New Year Joy. Glad you enjoyed! Merry Christmas to you too.